The HELPP (Hospital Equipment Lottery Project for People) Lottery, one of our fundraising activities, is a break-open ticket lottery program. Established in 1989 by the Hospital Auxiliaries Association of Ontario (HAAO), the HELPP Lottery program has been supporting CPDMH since 1990. One of the key characteristics of the HELPP Lottery is that the monies raised must be spent on capital equipment expenses for the hospital. In the years since inception over $670,000 has been raised and purchased, among other items, an x-ray machine, food carts, stretchers and wheel chairs, in support of patient care in the Carleton Place and District Memorial Hospital. 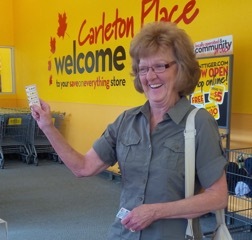 Each ticket costs 50 cents, with prizes going as high as $100. The HELPP lottery ticket has unique hospital symbols on the face of the ticket. These symbols include the "H" letter, the ambulance, wheelchair, crutches, and a bedpan. How can you get tickets and participate? 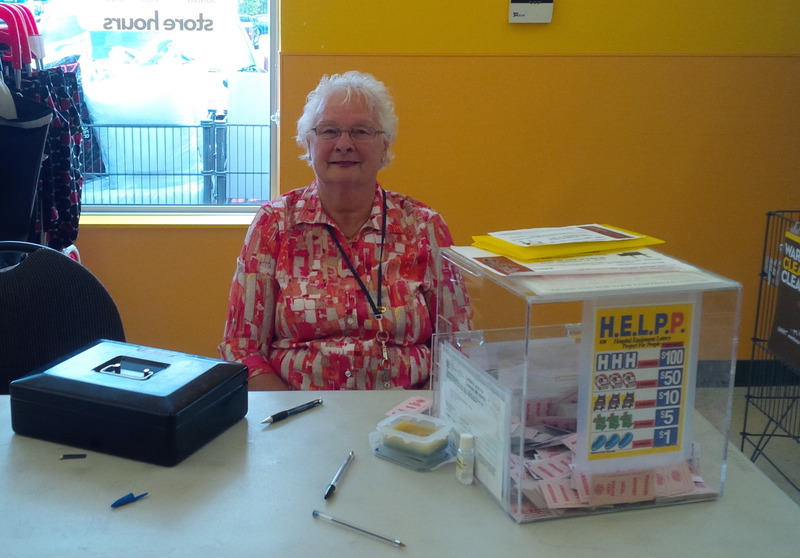 CPDMH Auxiliary Volunteers can be found selling tickets at Giant Tiger at the corner of Coleman Street and McNeely Ave., Carleton Place, every Thursday and Friday from 9:00 AM to 8:00 P.M.
HELPP is always looking for volunteers to assist with this fundraising project. Contact us if you are interested in lending a hand.